Peter started the clinic in 1986, then moved to its current location when his first child was born in 1996, when he needed his front room back! The clinic is on the ground floor with wheelchair access, has on site parking, and warm friendly reception staff. Peter was brought up in Stourbridge and following a rugby injury while at school, his parents took him to an Osteopath for treatment. It worked, and he decided to follow it as a career path. After an intensive four year degree course in London he qualified and was awarded his degree in 1986 by HRH Princess Anne. The photo is in reception showing a younger Peter! He returned to Stourbridge and opened the clinic in 1986. He subsequently did a degree in acupuncture, qualifying in 1993 and often combines osteopathy and acupuncture in his treatments. He enjoys rugby and cooking for the family. 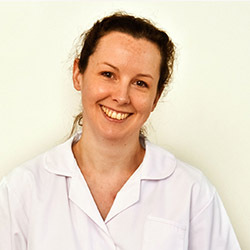 Ree studied for her Master of Osteopathy degree at Oxford Brookes University obtaining Distinction, the highest possible level achievable. In addition to this. Since graduating, has gone on to also become qualified as a Medical Acupuncturist. 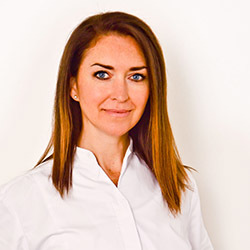 Her treatment approach is based on the fundamental principles of Osteopathy, which focus on the body as a single unit, identifying and treating the source of dysfunction and pain, rather than just treating the symptoms; this approach aiding long-term results as opposed to just short-term relief. Ree likes swimming, tennis, cross-country running and martial arts plus Pilates. Her love of vintage motor-biking has taken her through Vietnam, Cambodia and Europe. Tamille originally studied etymology at Exeter University, obtaining a first class degree, before going on to study Osteopathy in London. 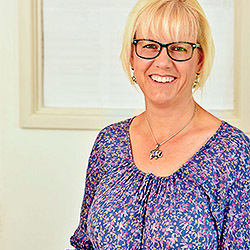 Her interest in baby and adolescent conditions led her into the field of Cranial Osteopathy and she has specialised in this for over ten years. 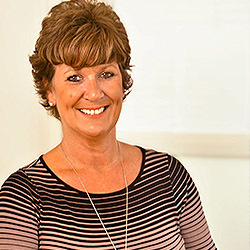 Tina is one half of our friendly reception team, and if you smile nicely tea and coffee will be forthcoming, even biscuits if any are left! Helen is the second part of our cheerful reception team, equally adept at tea and coffee making, and biscuit distribution. So if you fancy a cuppa and a chat come along early or stay after your treatment. Peter Rees & Associate Osteopaths are Registered with the General Osteopathic Council. The General Osteopathic Council (GOsC) is the recognised Osteopathic body in the UK. The Stourbridge Osteopathic & Acupuncture Clinic Ltd.
15-17 Lawn Avenue, Stourbridge, West Midlands, DY8 3UR, UK. Registered in England, company no: 04787375. The clinic has relaxing, ground floor treatment rooms with full wheelchair access and excellent on-site parking. Tea and coffee offered to those waiting by our friendly receptionist, and sometimes we have biscuits!